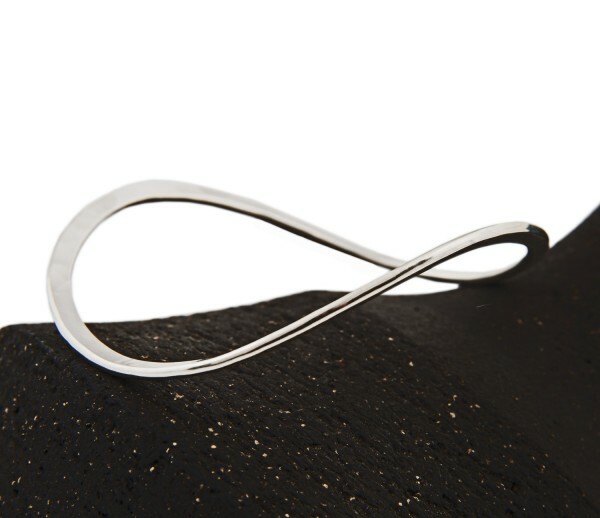 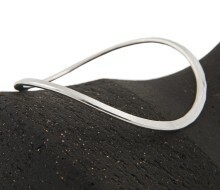 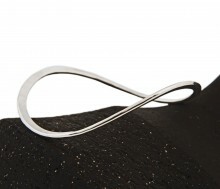 A contemporary silver bangle, hand made in our workshop in the Garden of England. 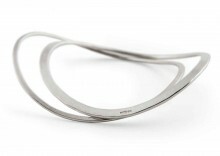 Made entirely in British hallmarked silver you can choose from either the chunky bangle (above) or the slightly finer design. 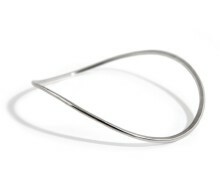 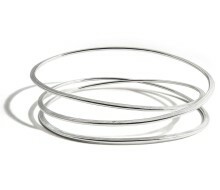 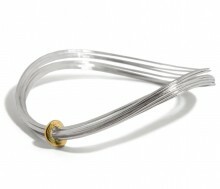 Softly curved wafers of silver make this stunning hand-forged, oval shaped bangle, unique to Latham & Neve and made to echo the shape of the wrist. 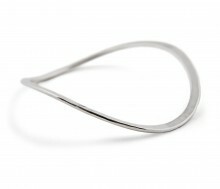 An oval of beaten silver made in a gentle curve, with a shiny hammered texture on one side and a soft satiny feel on the other. 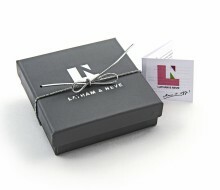 An exciting contemporary piece exhibiting Latham & Neve's modernist, clever style.